We confirm your seat only upon receipt of 100% payment from your side. For any refund / cancellation / transfer of name case our decision will be final and binding in all cases. 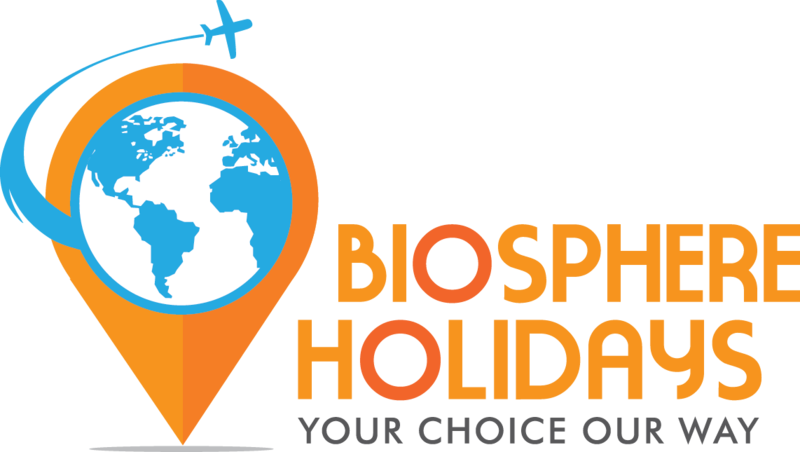 BIOSPHERE HOLIDAYS reserves all rights. Adult participants must carry an identity proof such as voter ID or PAN card or driving license for I.D. proof during travel and safaris. We reserve all rights to incorporate new rules / change existing rules for all trips / camps / tours / safaris. Our decision on all cases will be final and binding to all. All our tours / trips / camps / safaris will definitely have good quality vegetarian food included in them. Choice of Non Vegetarian food will be provided to all participants based on availability. On a prior intimation we can arrange Jain food as well. Allotment of rooms / tents will be as per the camp / tour leader’s decision and will also depend upon the check-in and check-out time of the property. Railways have a computerized reservation system. We will try our best to get the tickets in the same coach but in case that is not possible then berth and seat allocated by the Railways has to be accepted. If the participant cannot board the train / bus / flight due to delay from their own side or if the train / bus / flight gets delayed / cancelled then whatever extra expense that if incurs will have to be borne by the participant. We will try our best to minimize the extra expense. All participants who enroll with us are hereby informed that they travel with us for all tour / camps / safaris / trips at their own risk. Neither we nor any of our authorized representatives or staff accepts any responsibility or liability for any damage, loss, injury, accident, death etc during the trip / camp / safari / tour; howsoever it may have been caused. Cooperation with the tour / camp / safari leader is expected on all counts. We reserve the right to change / cancel some of the tour programs owing to unavoidable circumstances. Refund in such cases is not entertained. Eg: Owing to heavy storms in Tadoba, one jungle safari gets cancelled by the Forest Department. Please bear in mind that personal expenses such as shopping, cold drinks, mineral water, laundry, telephone charges, extra safari, are not included in the camp / trip / tour / safari cost. We do not bear any responsibility, whatsoever for any dissatisfaction, loss of life and / or property, death, damages etc and also any consequences arising out of any natural calamities, strikes, breakdown of facilities, accidents, negligence, delay in services etc. We take it for granted that all the participants who are enrolling themselves for each tour / camp / safari have carefully gone through rules and regulations of Biosphere Holidays and have readily consented to abide by them.